I recently purchased the contents of a farm museum. My storage is now full! Some of my local Veteran Cycle Club friends have similar problems. 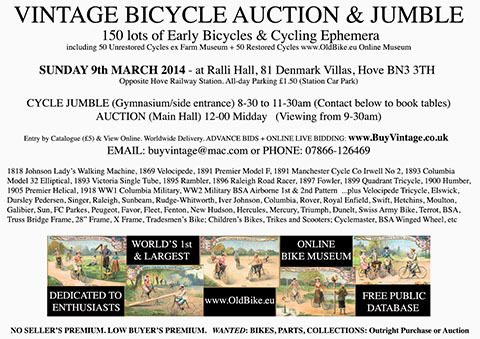 So we got together to hold a fabulous vintage bicycle auction and jumble on Sunday 9th March 2014, in Hove, East Sussex. There were 100 bicycles and tricycles, and 50 lots of unique cycling ephemera. 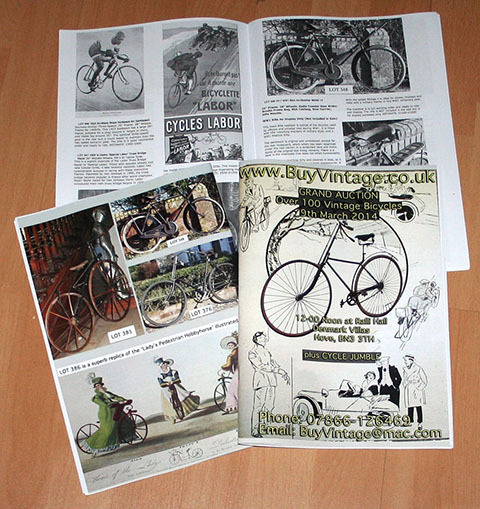 You can order a catalogue through auction.oldbike.eu, or by emailing or phoning me direct.